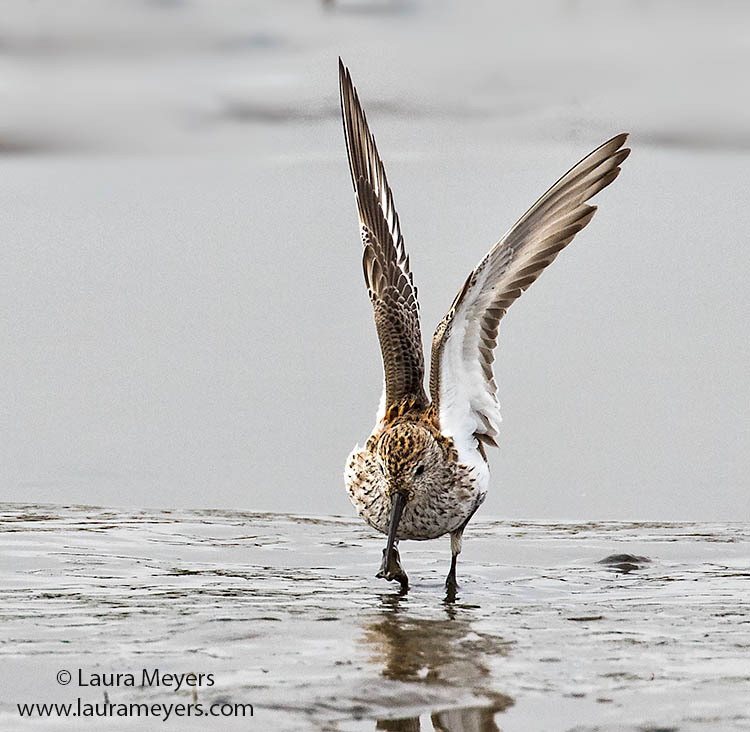 The picture of this Dunlin Wings Up was photographed at the Forsythe National Wildlife Refuge in New Jersey. Dunlin with Wings Up was photographed with the Canon 5D Mark IV and the Canon 100-400 II lens. Numbers wintering in some coastal areas have declined noticeably since the 1970s; the reasons for this are unknown. To hear the sounds of the Dunlin , click on the arrow below.